All OAK VILLAGE NORTH homes currently listed for sale in Bulverde as of 04/18/2019 are shown below. You can change the search criteria at any time by pressing the 'Change Search' button below. 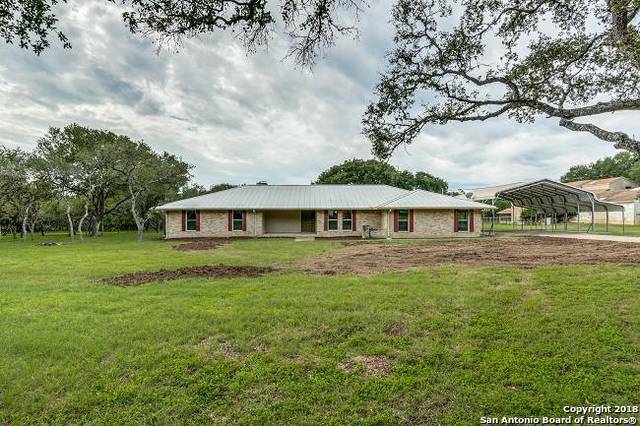 "Gorgeous hill country home on just under 1 acre move-in ready-the only thing missing is someone to enjoy the immaculate, open space and private backyard with a pool.Newer flooring, granite countertops, neutral paint, privacy fence and windows.Finished out garage is perfect as second living area or game room and the backyard begs for summer barbecues where friends/family can enjoy the pool.Topsoil has recently been added to front/backyard. .8815 Acre Lot next to house is also for sale for $50,0"
"Serene 4 bed/3 bath home located in hill country neighborhood of Oak Village North. Nestled on 3/4 acre with room to roam! Open kitchen offers gleaming granite counters, rich espresso cabinetry, & SS appliances. Spacious living room w/ fireplace + two dining areas are ideal for hosting your favorite gatherings. Private master retreat w/ double vanity, shower, & garden tub, PLUS 2nd bedroom + additional full bath on 1st floor. Bed 3, 4 and game room/loft up. Soak up the sun on the extended patio"
"Great Opportunity, Beautiful 1.5 Story on an Acre! Large Bedrooms, Master Bath with His/Hers Vanities, Garden Tub & Shower, Kitchen with Breakfast Area open to Family Room, Separate Dining Room, Family Room with Fireplace, Upstairs could be 4th Bed, Game Room,Study, Media! Split Floor plan, Guest Bath with Dual Vanity, Shower/Tub Combo, Fantastic Screened in Porch looking over Park Like Setting Back Yard w Storage Shed,New AC System being installed. Home being Sold As Is Price reflects updates n"
"Enjoy this charming home that rests on 1.5 acres inside a quite neighborhood. The tranquil, soothing, hill country atmosphere in Bulverde is difficult to find elsewhere, the deer come right to you, enjoy the outside while listening to the sounds of nature on your expansive property. Enjoy the open floor plan, over-sized master, large kitchen & more. Close to everything you need, yet private enough to feel hours away from the city life. The community has a park playground, walking trails, s"